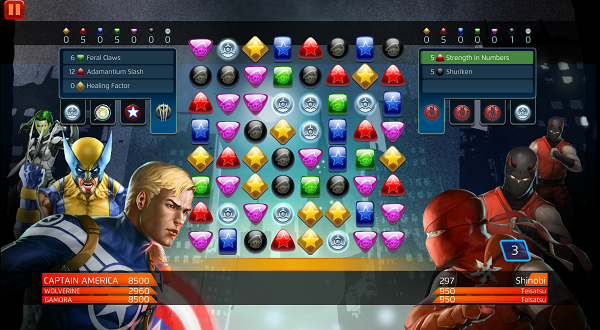 Marvel Puzzle Quest: Dark Reign features team-based gameplay for the first time ever in the Puzzle Quest franchise. 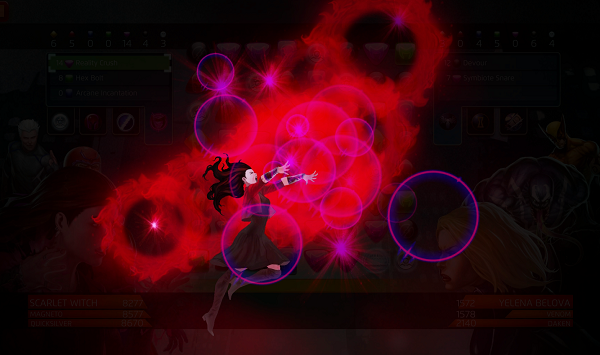 Players will assemble a team of three characters with upgradable abilities, choosing from a roster of heroes and villains alike, all to combat a common enemy. 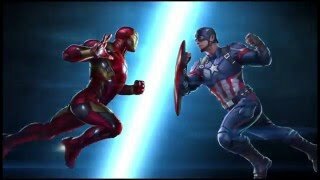 With this team-based gameplay comes a new level of strategy and customization, allowing audiences to call upon specific heroes that are best suited for the job and to create an ultimate Marvel dream team as they travel across famous locations and visit familiar faces from the Marvel Universe. 3/31/2017: Marvel Puzzle Quest will be running April Fools' Day events this weekend. 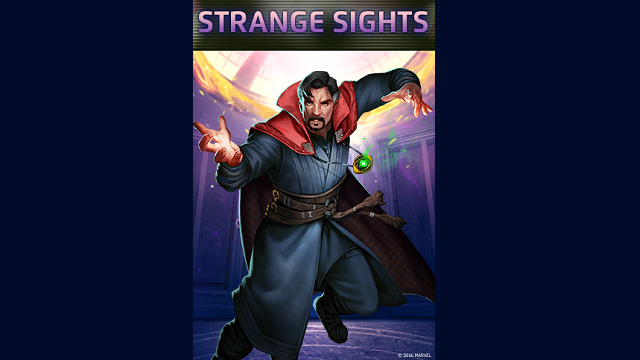 10/28/2016: The Doctor Strange themed Strange Sights event will launch on November 3rd. 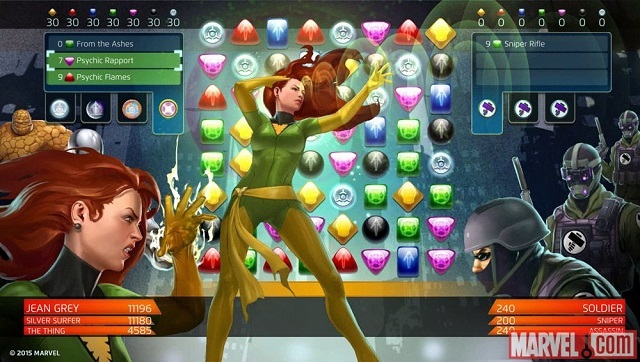 11/2/2015: Phoenix is coming to Marvel Puzzle Quest as a new 5-star character. 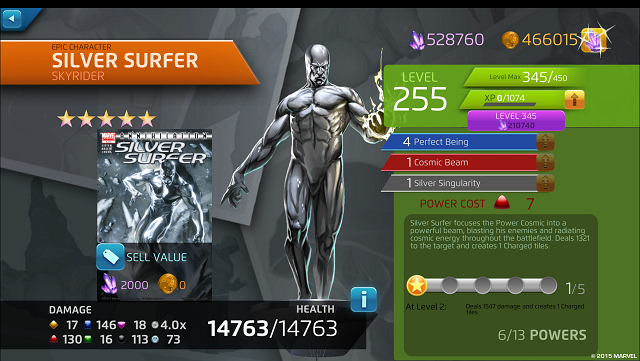 9/4/2015: Silver Surfer, the first five-star character for Marvel Puzzle Quest, will be added to the game on September 10th. 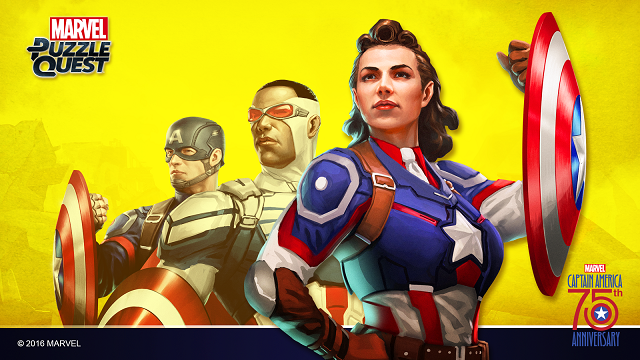 4/22/2015: Marvel Puzzle Quest is launching its Avengers vs. Ultron game event on April 24th. 12/23/2014: Marvel Puzzle Quest today launched its new Enemy of the State episode. 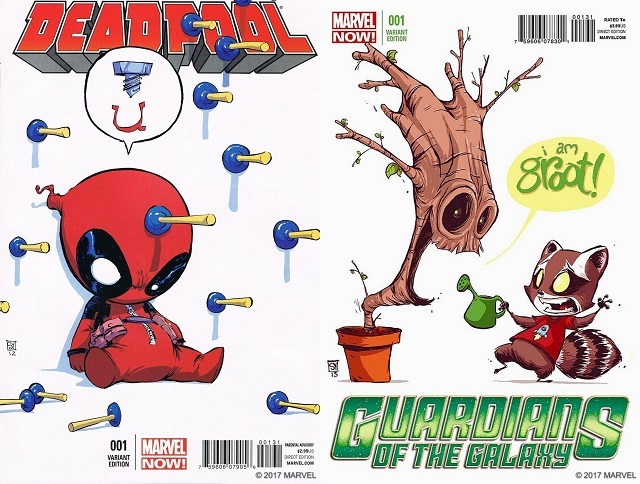 11/19/2014: The Meet Rocket & Groot episode is arriving on Marvel Puzzle Quest on November 26th. 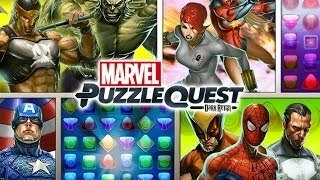 5/19/2014: Episode 5 has been released for Marvel Puzzle Quest: Dark Reign as a free update on Android, iOS, and Steam.